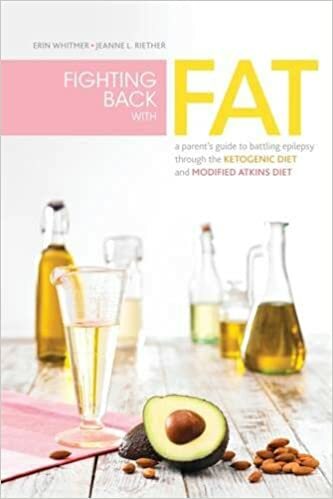 Written by two mothers who have children on the Ketogenic diet, Fighting Back with Fat provides essential information to educate parents on the diets, as well as gives advice to parents to navigate the emotional minefields that often come with attempting these diets. Common stress factors such as fear of failure, hyperresponsibility, dealing effectively with a child's non-compliance, and educating non-supportive relatives, friends and peers, are all addressed in heart-to-heart frankness from mothers who have covered the territory personally. The authors include first-person accounts of the successes and trails of other families as well as a rare glimpse of what kids think of the diets, in their own words. The book closes with the KetoCalculator 101, with tips and advice from the Charlie Foundation's Beth Zupec-Kania, RD, CD, the Keto Calculator's creator and a recipe section offering simple, delicious recipes organized by age group, each with "Keto Bites," fun food facts or practical advice that correspond to each recipe. will be fine. Lori has a toddler son on the Ketogenic diet. Here is what she has recently learned about finding success in feeding her son: I have had a hard time not feeding my son because of messes and spills, but I am realizing he really needs to have this independence. What I have done recently is to try to make his meals less messy. For example: he was eating a turkey salad meal that was chopped turkey and cheese mixed with mayo and then cream to drink, with some blueberries on the side.